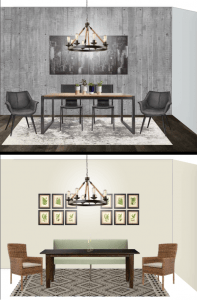 The Challenge: Each designer was asked to create a dining room design board inspired by the Artcraft Lighting Danbury chandelier from Robinson Lighting & Bath Centre. Marc Atiyolil’s Look: An eclectic mix of modern, vintage, industrial, urban and luxe styles. Learn more about the pieces in Marc’s design board here. 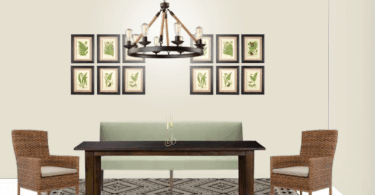 Maria Killam’s Look: Modern yet rustic with a fresh, organic feel. Learn more about the pieces in Maria’s design board here. Which look do you prefer? Let us know below and you could win the Artcraft Lighting Danbury chandelier from Robinson Lighting & Bath Centre for yourself! I think the rustic modern one is more my style but they are both lovely! I prefer the simplicity of Marc’s design better-I think it is the wall that catches my eye best-I love texture and Barnboard designs. I prefer Maria Killam’s look but I would do something different entirely. I would bring in natural elements that are living or were living. I like Maria Killam’s look better, I like a warmer feel. I like Marc Atiyolil’s Look: It has a warmer atmosphere to it. more inviting and could feel like home. I prefer Maria Killam’s look. It is closer to my style. It has a more open look to it. Thanks for the giveaway. Eclectic Mix all the way. Heck ya! I can appreciate both but I favour Marc Atiyolil’s eclectic mix. I like Maria’s Rustic Modern best of the two. I like Maria’s Rustic but Modern look. 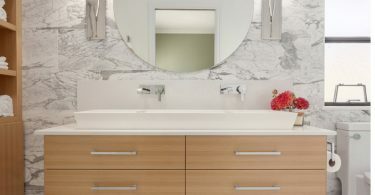 Maria’s Rustic Modern is a much softer look ! Love Maria Killam’s ‘rustic’ look – gorgeous! My fave is the Rustic Modern Look. Beautiful. I love look of Marc Atiyolil’s Eclectic Mix! Thanks for the giveaway! there are aspects of both I love so I can’t pick either. I will tell you that Danbury Chandelier is absolutely to die for. Love the Edison lights! Love the rustic look. Thanks for the contest. I like Marc Atiyolil’s look the best. It looks fresh and the furniture looks so comfortable. I prefer the eclectic mix, less going on, easier on the eye. I like the Rustic Modern look better. I vote for Marc Atiyolil’s Eclectic Look…. that is definitely my style. Love it! I prefer Maria Killam’s look. I love both but the eclectic is great. 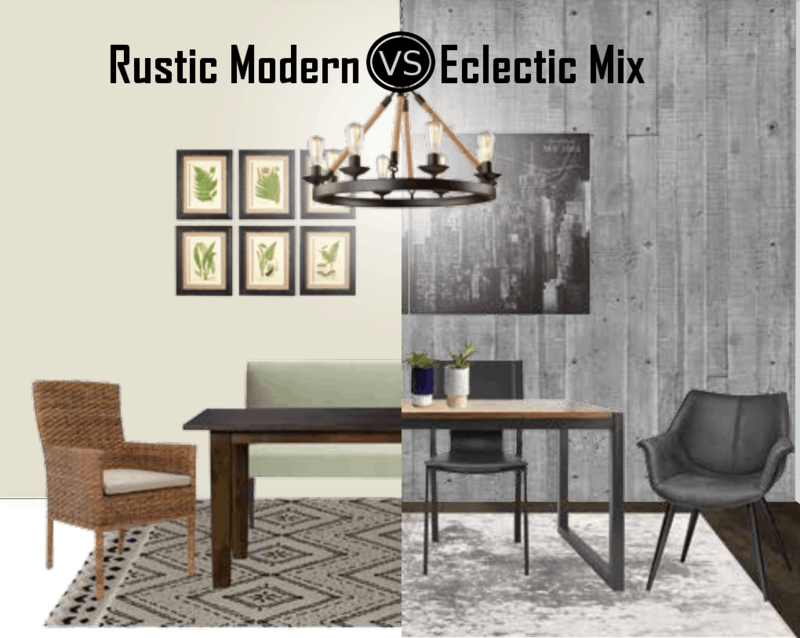 Rustic modern for me! Maria Killam. I’m digging the eclectic mix feel due to it’s simplicity! I prefer Marc Atiyolil’s Eclectic Mix. We are renovating our cottage and this look is what we’re looking for. My preference is the Eclectic mix . Il est magnifique !! Il serait parfait dans ma salle à manger. I prefer the Rustic Modern look. It looks very great! I prefer Marc’s design but they are both lovely. hope to win. Love the eclectic look by Marc Atiyolil. My husband and I just visited Robinson lighting in Winnipeg yesterday looking for a dining room fixture. This style definitely caught our eye and is exactly what we are looking for! It would look amazing in our home! j’aime beaucoup le style rustic moderne. j’aimerais énormément gagner sa fait des année que je veux changer le lustre dans ma salle a mangé mais soit il est trop cher soit je n’aime pas le modèle. I really love this lighting fixture! I am loving the Rustic design!